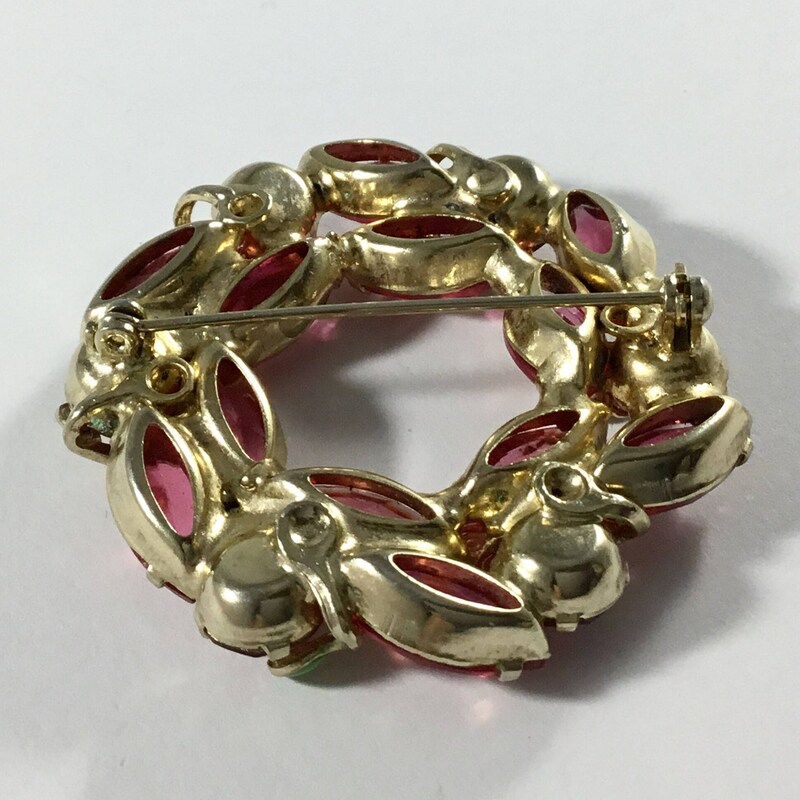 This is a lovely vintage unsigned goldtone wreath brooch. 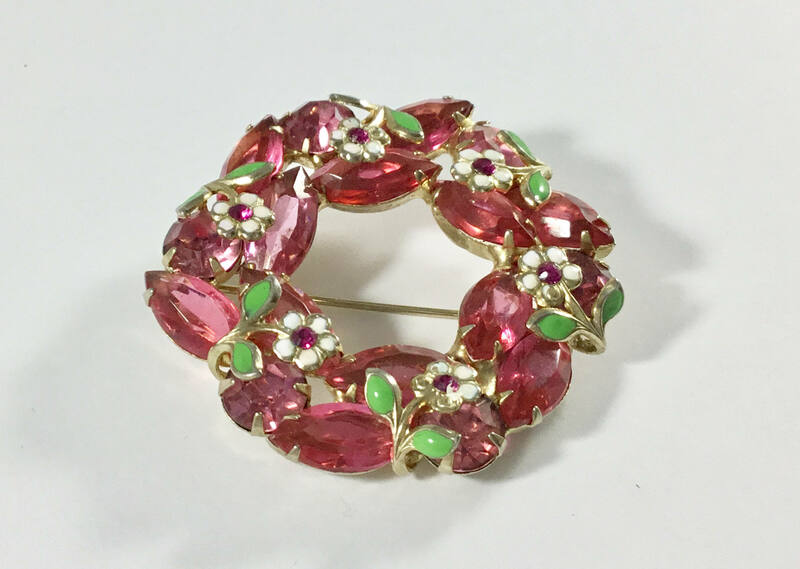 The rhinestones making up the wreath are pink open back navettes and closed back pink rounds. 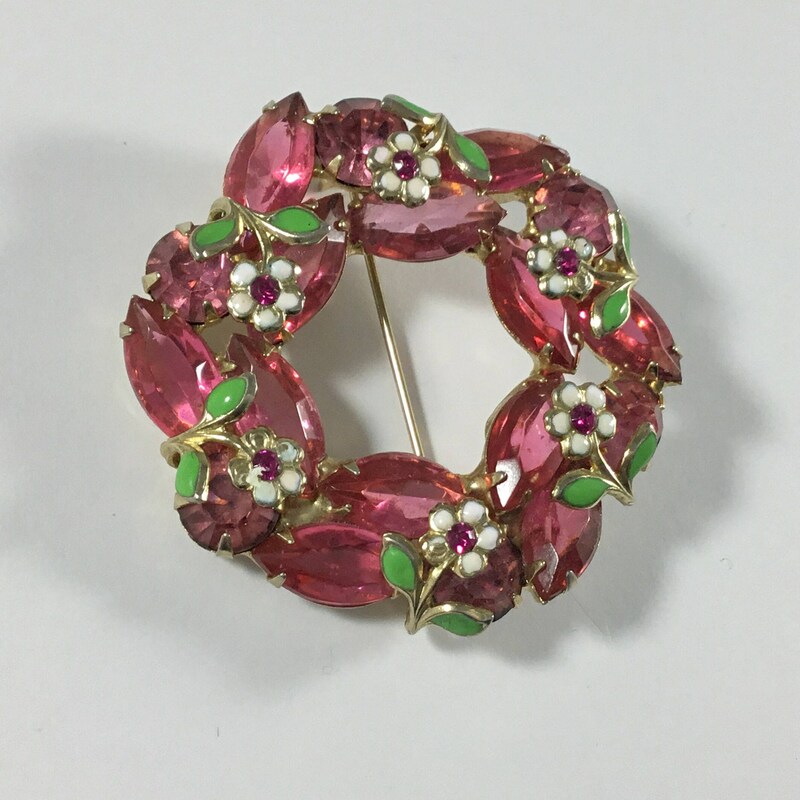 The flowers are enamel metal green leaves and white flowers with a small pink rhinestone in the center. 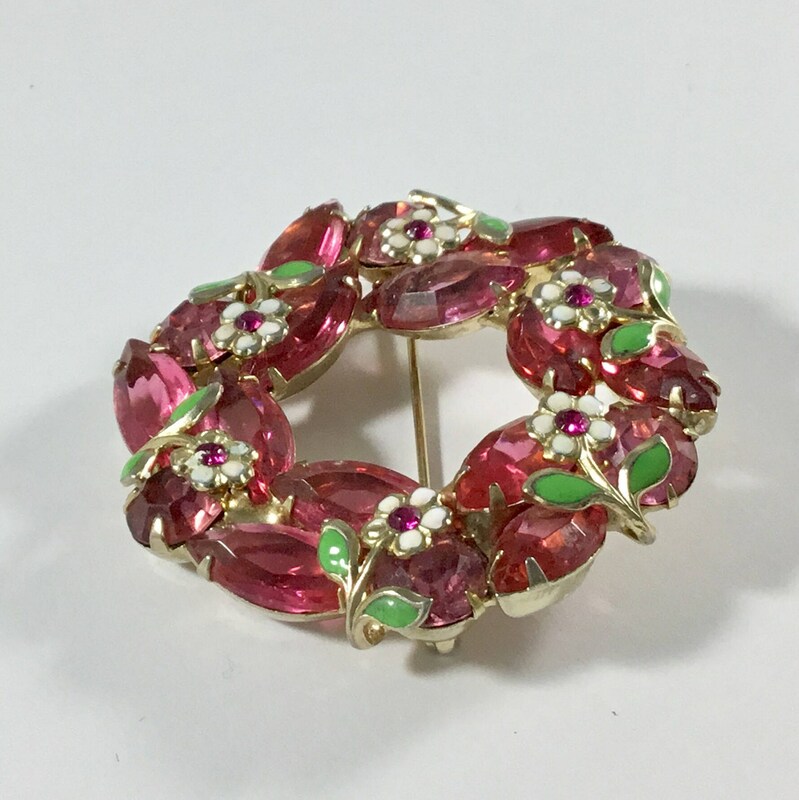 These flowers are on floating wires that are riveted to the bottom of the brooch and float over the outside and lay on the top of the pink rhinestones. 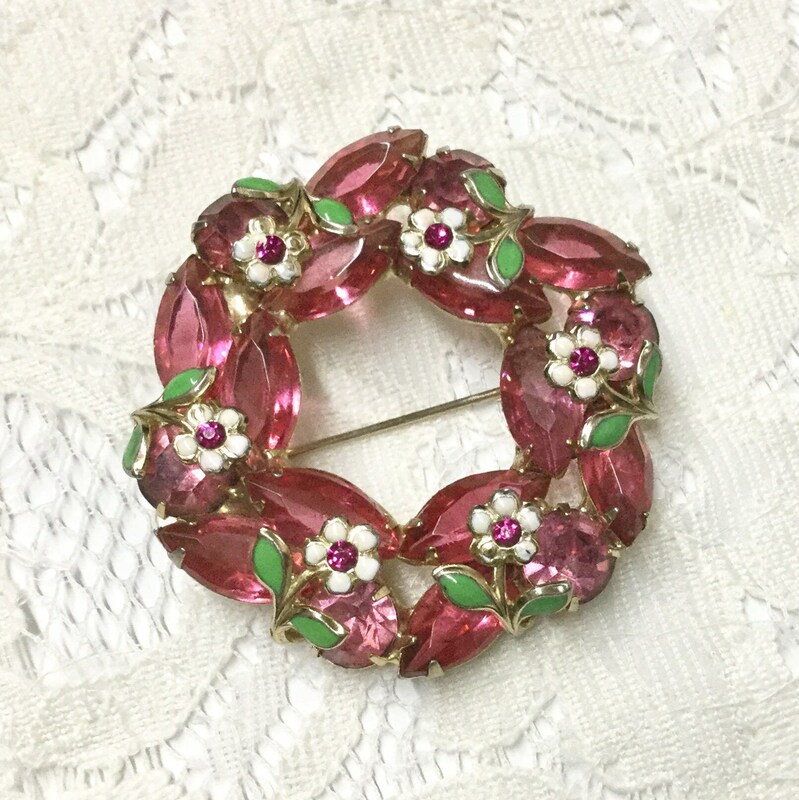 It measures 2" in diameter and the pinback is straight and closes smoothly and securely. 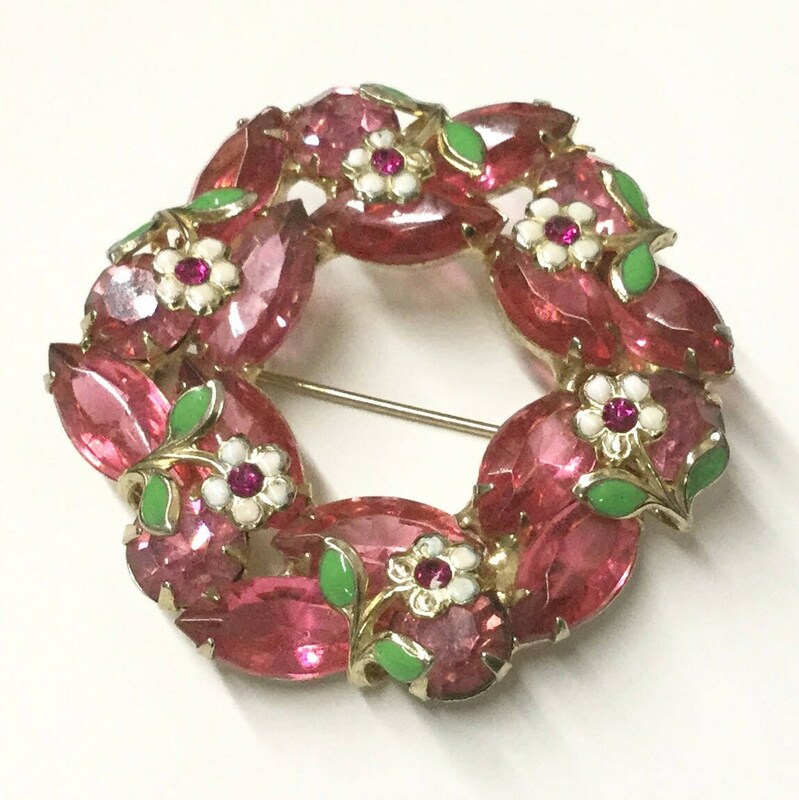 This is definitely an unusual gorgeous summery floral brooch. If shipping to outside of the United States additional duties and taxes may apply in the destination country which the buyer will be responsible for. We strongly advise that you check for any additional taxes or tariffs that you will be responsible for prior to ordering from outside the United States. You are our most important customer! If you are unhappy with the product or service you may return the item for a refund. Please return the item within 14 days of the date you receive it. Item must be in original condition and unused. 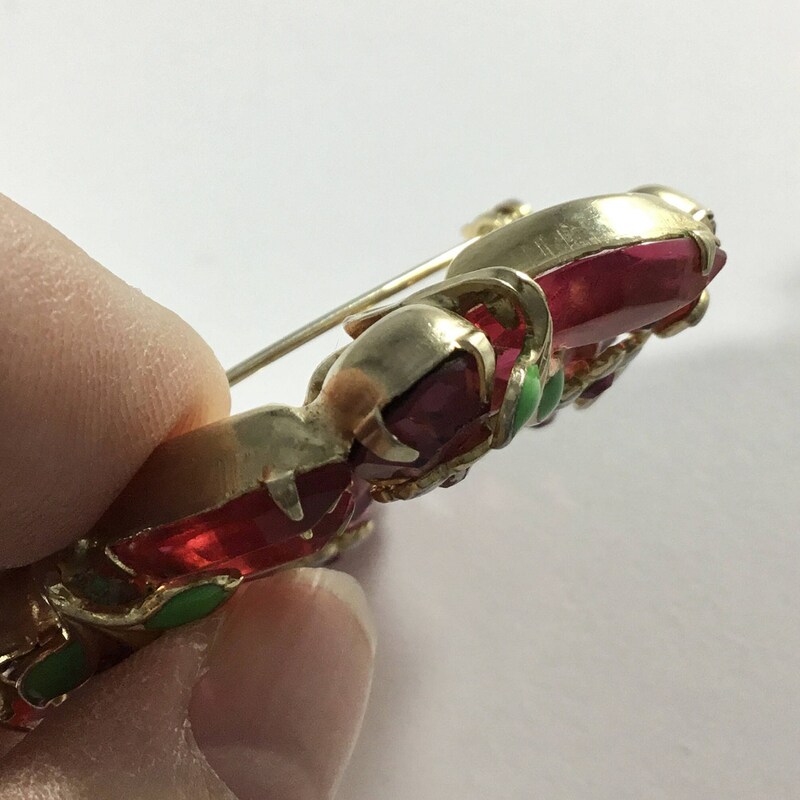 Please remember vintage items are not like a brand new item. Customers are responsible for return shipping. Refunds will include original shipping fees, plus the original price the customer paid for the product. For our EU customers, items must be returned within 14 days of receipt of the item, in good condition. Refund will include the price of the item and the original shipping fees. Refund will not include return shipping or any additional customs fees or taxes. Refunds will be issued after receipt and inspection of product. The customer will be notified when the refund is issued. Feedback is important to us. We want to understand our customer and what they expect. If there is an issue do not hesitate to contact us first before leaving a negative feedback. We will endeavor to resolve the issue if any.